The “Top 20 Best…” awards from This Old House reward and acknowledge exceptional new products brought to the market. 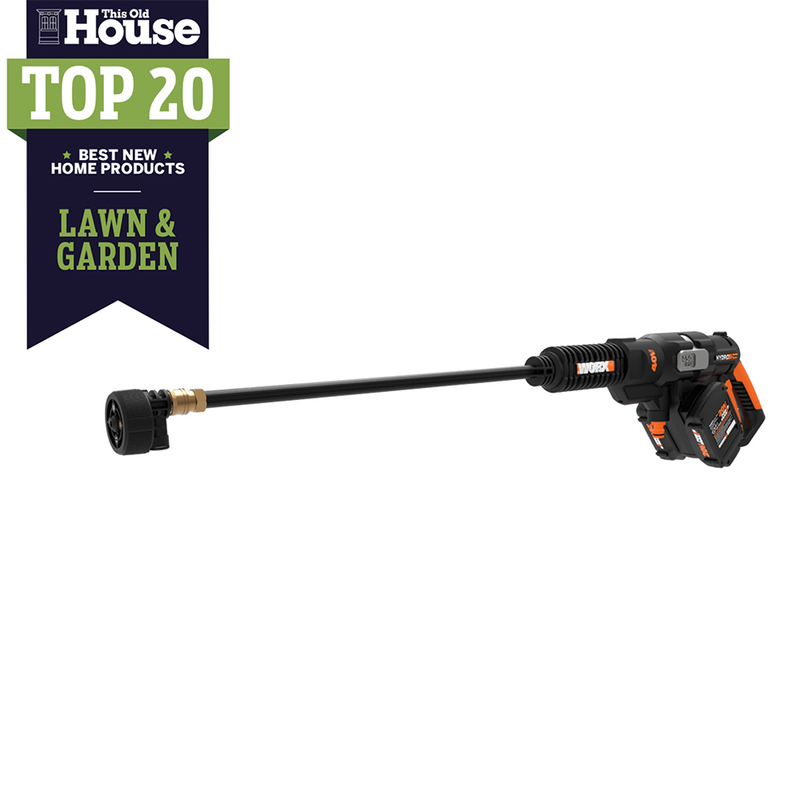 This year, WORX has been awarded Top 20 Best New Home Products for Lawn & Garden. Since its introduction in 2017, the WORX Hydroshot has offered a portable alternative for consumers who want to power clean anywhere, using any freshwater source. The original model was a 20V Power Share model, but WORX quickly introduced a 40V Share Volt alternative for consumers looking for a bit more power. In 2019, WORX brought another 40V Hydroshot to the market, but with a small twist – this new 40V Hydroshot model uses two 20V Power Share batteries to achieve 40V performance. This was great news for WORX customers who have invested in the 20V Power Share platform, since consumers can share the batteries between other 20V and 40V Power Share WORX tools. To learn more about the WORX 40V Hydroshot, click here.